2. Choose Uzatma ( Application for Extension). 3. If your info is correct, system will make you pass to the next application form. Оnly fields marked with dark-red color are must to be filled in. Other ones are optional. If you are applying for Family ikamet renewal, you will be asked to fill in also information about your spouse at the part: Destekleyici (Supporter). Or if you are applying for your child you will finn in there your info. for SGK insurance – choose the date 2 years later from your Ikamet expire date. 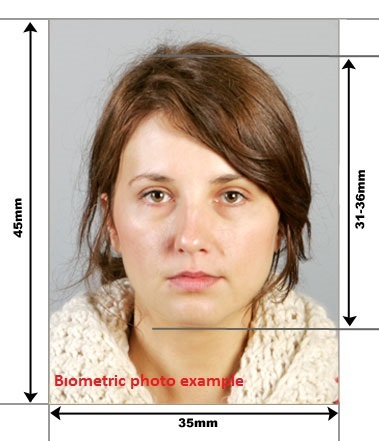 made during last 6 months, with open face and white background (Photo studios know that rules though) You will tell them to make “Biometrik foto (resim)” for you. Ask a copy of this photo in electronic way as JPEG, you will need to upload it while your online application. So, take also memory stick. 4. Your application form is filled in. You are redirected to the final page with your application number, fee amounts, address for sending your documents package by post PTT and list of documents. Make sure you saved your application form (İkamet başvuru belgesi и İkamet müracaat belgesi) from that page by clicking on link (it will be downloaded in PDF format).If you dont save, you will not be able to find your application online later and you will have to fill in all from beginning. So the best way is to use desktop or laptop for application. You need to print your application form out in color! You will be asked to pay 2 type of fees and get 2 separate payment slips – dont forget to ask while payment about double copy of each slip. You can pay at any district Vergi dairesi (Tax office) or Ziraat bankasi started also to accept payments. You should have your personal application number (shown at the last page while online application, mix of numbers and letters) , your previous ikamet and passport. 6. Send your A4 size envelope with your documents according to the list, 1 each of payment slips and application form by post PTT. There is NO RANDEVU for renewal. Package you gonna send should include: all required documents (according to the list) + colored application form + 2 fee payment slips. . Envelope must be A4 size, and sent by PTT courier or other cargo courier (taahhütlü mektup). You must send your envelode during 5 business days after you filled in your application form online. Your application counts as finished when Migration office got your documents and started proccess. If all is fine, During 90 days after that date you will get your Ikamet card by post (PTT) . 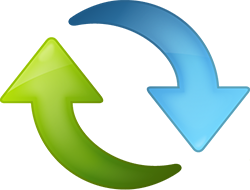 -you can use this renewal option for : short-term (for ex. touristic, or real estate owners), family type and student Residence permits (ikamet). – you can start your online application for renewal during last 60 days of your existing ikamet and till the last day of it. – dont send your passport! Only copy! travel out of Turkey with expired ikamet – allowed for 15 days. For that put a stamp and sign at your Migration office on the paper you printed out before – Ikamet application form and attach your second copy of 2 payment slips. – Migration office has right to ask from you extra documents or knowledge. – system will calculate your fee rates by itself. It will depend on your country of citizenship, previous ikamet expire date, ikamet type, term of new required ikamet, if you are married with Turkish citizen or not and other points. – Migration office may contact to you via SMS or email, so make sure your phone number and email you are writing down at your online application are working good. Be aware that all emails from Migration office will have only “……. @goc.gov.tr” address type – if you will get any other emails, be aware of internet fraud. if you have randevu taken before may 18, 2015, you will be asked to write down its time and date during your online application. This system is new so there is a chance of some bugs and errors. Please be patient and try again and again later untill you will get your application completed. Migration administration is working on its solving. my student visa was expired and I had to leave the country without renewing it. Now I’m back with tourist visa and want to renew it, but when I go to the first page to fill my basic information, it says the input data are wrong. as your pevious student ikamet was expired, you should choose not renewal or extension, but New application. Then it should work out. Be aware that system sometimes may show errors, so just try again later. Should I approach to the immigration service myself and talk with them? Cuz my visit visa will run out soon too. Unfortunatelly this is normal situation for Istanbul when there is no avaliable dates for randevu. There are 2 ways to solve it: you can try again and again, they usually open new avaliable dates in the morning like 8am. Or second variant is: there is an office near migration office at Vatan street, that office for some fee can help to take randevu. I know some people go there when they could not take randevu by themselves. Hi, I’m dealing with an extension application. When clicking on the link to download the “Residence Permit Application Document” at the end of the process, it doesn’t work!! It gives an error window, so now WHAT? I don’t have the application form to print! unfortunatelly Ive read about those kind of problems from other foreigners, and I guess this is the system error or bug. Please, save your application number, just in case. And also as a way, try to apply again, I hope it will work. Unfortunatelly there is no page at official website which allows to print out application form later by application code. May be they will upgrade it, I hope so. As other way, there is an office near Migration administration at Vatan, and they help people with randevu printings, may be you can ask there as well, or directly at Vatan office, there are officers who answer questions about those type of problems. As the system is new and many people can’t apply online, they will answer you if you just show up. Of course they’ll give priority to the people who have appointment time, but still I could do the extension procedure in only 1 day. So just go there and make sure you have all the documents ready with you. Else you’ll have to go there again. Hi, thanks everyone for your help. We called them to let them know what happened and they told us they were having problems with the online system and to go in person so we’ll go on Monday to see them and will let you know the process so we can help others with this same problem. I am writing to ask some questions. I already got the student visa from Turkish Embassy in my country for learning Turkish language at private(aligned) language center in the Univ.. In this case what kind of option should I apply for among 4 options(short-term/long-term/family/student)? I heard before May 18th, students who just learning Turkish in private language center could apply for student IKAMET, now it looks like there is no option for them and should enter student ID…to move on to the next page(of course Many of students who studying at the language center do not have student ID). It looks complicated. Pease leave any advice or tips for solving the problem. Thank you in advance and looking for hearing your answer soon. This is great site where we can get info. to get IKAMET. (I have not found any other sites yet. This is only one site we can depend on regarding this issue) Thanks for your all effors again. Thank you so much for your kind answer!! I am very happy to know this website! Have a great day! Hello 🙂 They didnt change requirements for documents, they just changed the way how foreigners now have to apply and addresses. While your application you will get the list of docs you will need to send. So you can just double check with the blog article for details. As for bank statements – as I know still need only turkish banks, but i will double check with that tomorrow, as right now is night in Turkey. I wasn’t able to update my rendevu, will I encounter problem on my appointment which on June 15? Im not sure if it can be a problem or not, because some of the issues has human factor, and it depends which worker will assost you with your application. At least you should have the printed provement of your previous application to provide at the randevu. oR you can just try to renew again if previous time system had errors. -Is it possible for me to enter back in turkey and have my 3months of tourist without visa like I use to have(im form Switzerland)? If not what would be happening? -Is it possible for me to renew it now while being out of turkey and ask somebody in turkey to send the document for me? If your country has non-visa agreement – you can come back as tourist and apply for student ikamet based on your masters – i guess it should be new application – not renewal – as you start new study term and your previous ikamet will be finished at the date of application. It is not possible to renewa while you are out of Turkey, as you gonna show them also your stamp in passport about last entry. And you can not renew it as your erasmus finished – you have no reason for extension and your masters application will be in july as you said – they ask info from univ. about your enrollement. There is part on this website in menu Ikamet – about student ikamets. Hello, This is Jihye from South Korea. but now, my semester was finished and I am taking turkish language course in Tomer. so in order to extend my ikamet period, is the Visa necessary? First of all thank you very much for taking the time to post all of this, it’s been very helpful to me and I’m sure to many others! Similarly they ask for information on where you will be staying, but before you had to show a notary signed letter of the person you were staying with, in case you didn’t have a lease contract on your name… Do you know if that is still valid as well? Really wish they would be a bit more specific on the application form! Hello, im glad my page was useful for you 🙂 As for your questions, yes new system looks like a bit blurry and not exact info, but still requirements are same, I dont know why they wrote it in that not clear way. Still need money provement and address provement. Hi. Thanks for your post! I am writing because I sent my paper on the mail as required and I checked PTT website and the envelope arrived on 6/15 but I haven’t reeceived any mails nor messages from the MIgration Office. What should I do? My ikamet expired on 4/22 but I got an appointment with the old system before that date. hello! If you registered your old appointment in new system and sent by PTT with all listed docs. and 2 payments slips, your paperwork seems to be fine, but I guess because the migration offices nowadays are kind of busy most probably they will not send any sms or emails to you. Usually renewals take around 2 – 4 weeks and you are getting ikamet by post. So if they didnt contact to you, may be you are just fine and no need any extra docs. You should wait and if you will not get any news within 2 – 4 weeks then you can go to migration office and ask to check your paperwork process. it sounds great. Just one more question : do you know the migration office address? i received a phone call 4 weeks ago that some papers were missing… i organized them the next day and sent them with courier the next day… till then no more reaction? would ptt give me a notice if they tried to deliver and i wasnt at home? anyone else who waited 4 weeks and more? If they didnt call you again, it means they got all documents they needed. When your ikamet is on the way by PTT usually they send sms with tracking no. for your envelope. But ikamet issue paperwork and procedures sometimes take 1 month and more so most probably it is not ready yet. Personally, Ive got mine 5 weeks later ive applied for renewal. yes sometimes people get it faster, sometimes wait for few month even …. ok tomorrow will be two month since they called me and asked me to send them my old appointment letter, which was beofre may 18th… after 2 month is there any chance to find out the current status of the application via mail, email, phone, sms, etc? This paper is the one you printed out while online application – it includes your photo and main info + 2 payment slips. But to be able to apply for work permit ikamet you will need to have plastic card – ikamet, not a temporary paper. Greetings with new job! ooo!! Good news!! 🙂 As for work permit, employer suppose to know that, sometimes they use some offices to help them with documents and applications. Hello everyone! Can anyone answer my question? I need to renew my student ikamet in 2 months. When I got it 2 years ago no insurance was needed. Now as I understand it changes and I need to hold it. Should I apply for SGK? Will it work? And what is the cost of it? Thank you! I’m a student at Istanbul University. My “Ikamet” expired on June 8th ( last month). For some passport renewal related problems I couldn’t renew my Ikamet before it expired. I applied for Ikamet renewal on June 22nd and that’s two weeks after the expiry date of my Ikamet. will I face any problems since I applied 2 weeks after the expiry date? What should I do now? Is there a fine I have to pay in order to get my Ikamet renewed? It’s kind of an emergency as I need my new Ikamet ASAP! I really appreciate any info u can help me with! hello! As you applied online at official website and system accepted your extension – and you didnt get a notification that your ikamet is expired and you can not apply – I guess you are all good, and system suppose to calculate 2 separate payment rates for you. When you are sending your docs if there will be something absent, migration office suppose to contact to you and notify about it. Be aware that you must send documents for extension within 5 business days after you applied online. If you have any doubts you can just personally ask at migration office if it is all ok with your application or not. Dear friends, please help me again. you can check goc idaresi website they suppose to have that page. R u a full time student at university? Hi Everyone! I’d like to ask some questions, since I can’t find the answer anywhere 🙂 So I’ve already been here for 1,5 years, so I had ikamets before, but I had to change my passport this year and as the e-ikamet system said, I used the new application option during the renewal process. I’m in Bodrum and I have to go to an appointment to Mugla (2nd of September! ), but it says that the documents have to be sent in 30 days. So where do I send them? 🙂 I didn’t find any info on this. And the system said that I need to show accomodation proof only upon request. So will they send me sth? Or call me? I’m a bit confused, so thanks for your help in advance! you should attend your randevu at mugla and provide the docs. which listed . 30 days term means that if while your randevu you didnt have enough docs. and officer will need some extra – they give you 30 days to bring it. As for accomodation – you suppose to have that at the day of randevu – rental agreement, or affidavit of support from someone you live with. If you are a foreigner RENEWING your Ikamet (mine does not expire until September 15), must you mail in your current Ikamet card along with your application and documents? I am hesitant to do this as I will be travelling and while waiting for the new Ikamet to come in. It says that “Submission of the previous residence permit” is a requirement, but do you know if a photocopy is acceptable? Mine is still valid and I would like to use it to travel. A clear photocopy or your passport and ikamet is enough, no need originals. In a case if they will want to see original- which is very low possibility – they will contact to you later about it. While I have found the information on this thread to be reliable, and don’t wish to contradict, the instructions do say clearly that they need the original of the ikamet and a photocopy of the passport. When I applied for my own renewal (in-person at a randevu) last year—just after the switch from the Yabanci Bürosu system to the Goç İdaresi system—they took away my old ikamet (the kind in the little blue book) in order to give me my new card. As a result, even though these two situations aren’t exactly the same, I’m inclined to believe they indeed want the original card back before issuing a new one—same as when you renew your passport (at least in my home country). StayTurkish sounds pretty sure about his or her information, but I would guess that you should submit just the photocopy of the ikamet at your own risk. However, the second of those two PDFs you download immediately after completing your online application is supposed to be your stand-in document until the new card comes. The İkamet İzni Başvuru Belgesi (3 pages) needs to be printed in colour, signed, and sent in. The İkamet İzni Müracaat Belgesi (1 page) should be printed in colour and carried around with you, alongside with a receipt of application fee payment (which is why they advise you to get a double receipt when you pay—one to send in and one to keep). This combination of documents is valid for the whole period of your next ikamet, until the actual plastic ikamet arrives in the mail. The document also specifies that it’s issued by the Göç İdaresi Müdürlüğü and that it is valid for travel outside the country for up to 15 days. Hello, Zora, Yes you are right about what you wrote here. As for ikamet photocopy – my imformation based not only on official website, but also on information from people, who just had that renewals and few people who work as a representatives for that ikamet application proccesses (they help foreigners to make ready docs for application). Thats why I noted that photocopy is enough. Especially lots of people wanna apply for renewals 60 days before expire dates which means they have valid ikamet for 60 days more. Another issue is each ikamet card now has expire date on it so in every situation noone will be able to use it after expiration. In every situation, my webpage was created with informational purposes – not as a official legal source so it include advices from people from their own experience, not only from official web site. For all official info everyone can go to http://www.goc.gov.tr and everyone has choice to do what they think is correct. Yes, I totally understand that you are giving information just for helpfulness and not as a legal advice substitute, and I really appreciate this service. I’ve gotten a lot of information here. By the way I have a question of my own: You mentioned we could pay at either a vergi dairesi or a Ziraat Bank. In my case the bank is much closer. I went to my local branch last week and asked to make the payment but the teller didn’t seem to know what I was talking about (I think he was new, I haven’t seen him before) and asked me to come back later when the manager was in. I’m going to go back tomorrow. Can you maybe give advice on how to describe what I want in Turkish, just in case? Unfortunatelly not all bank branches know that procedure details, I have no idea why is happening like that. So there is a chance that even manager will look at you with round eyes and say that they dont do that. There is no special explanation, you just tell that you need to pay for ikamet application, if they dont know that, I would advice to go to vergi dairesi to be on the safe side. Also lots of people tell that they just paid at vergi dairesi of district where Vatan caddesi is – then for sure they know what you need to pay for. For my personal ikamet I made payment at Kadikoy vergi dairesi, its right near Bostanci metro station. I mention this because the person who started this comment thread was worried about travelling while waiting for the new ikamet if she submitted her original ikamet rather than a photocopy. If she has a similar issue to what I had today with photocopied receipts, she may indeed need to be worried about trying to travel with the interim documents, and may find it worthwhile to take the risk of sending just a photocopy of her ikamet instead of the original and wait to see if they ask for it specifically. as for travel out of TUrkey – to be able to use that Muracaat belgesi + payments slips for travelling abroad – you must put a stamp and sign at Goc idaresi on it – so photocopy of payment receipts is enough for them to see that you paid and they put a stamp – then travel – while entering Turkey by that document passport control officer will see the original stamp and sign. As for ikamet copies – people who already applied and some of them asked my advice – sent copies and as I know there was no problem. But if you feel not comfortable with that – you can make ikamet photocopy notaly stamped as a prove of original. Or just send an original ikamet – if you feel so. you should find out about days at immigration office, but in a case if you will not be able to apply for renewal cuz of absence in turkey, you can just apply as a new application, I guess in Mersin there is no long waiting term for randevu like in Istanbul. Ive heart some people did exactly the same as you described – some of them were fine and docs. were exepted, some of them not – and they had to show prove of income. You can try though – in a case if they will say it is not enough – you ll have some time to send them what they need . Thank you so much for the quick response. It’s a huge help! I was also curious whether you’re still required to send a notarized copy of your lease/rental agreement or whether that’s not required for renewal applications. I guess you didnt read article addually where you are making comment now. For renewals there is no date. officially system says that foreigner can apply for extention through online registration and mailing docs. after then only if existing ikamet is not expired yet. But, you can try to apply – if system will let you go in and finish application – you will be provided with paymnets you have to do, most probably it will include your penalty as well. But if system will not let you finish the online application – you can go to migration office and ask your solution there, as this kind of decisions depend on them. 1. Report to police about ikamet lost. Take a paper from them about your report. 2. Go to migration office to notice them about ikamet lost. Great site you made. I still have one question though. I have a 3 year ikamet that needs to be renewed soon. I have been married to a Turkish girls for 3 years. but I don’t think my ikamet is specified as a family ikamet. when on the site I select application for extension i automatically get taken to the site for sort term ikamet. but in the drop down menu next to purpose for stay none of the options really apply to me. maybe i could go for the tourist ikamet. since I have been married for 3 years I can start the application for citizenship, which I want to do, but I need an Ikamet that is valid for the duration of that proces. Its written on your ikamet – which type is that – Kisa donem (short term) or Aile (family one). And I guess you still have a blue book so it is also specified in it that Married with TC citizen. If you say system puts you onto the short term application form – there can be some system bug if your ikamet is correct type. If your ikamet is not a family one, so you will need to apply as a first application, because while citizenship process they will ask your ikamet as well and it should be Family type. Dear friends! Im writing again for your help! you dont need visa as your country has non-visa agreement with Turkey. This requirement is only for countries who has no such an agreement. Sorry, I forgot, is your existing ikamet still valid or it was expired? May be this is an explanation. Hey so I’m definitely going to be two weeks late to send in my paperwork because of a number of reasons. I’m assuming it’s fine. This site says you have 5 days to mail it in but I did t see it written on any documents. Am I fine? Its written on main page before you start an application, there is an instruction page. Well, it’s two weeks late. So what happens now? If I am more than two weeks late in sending the application after filling out the online form, should I reapply online or just send all the documents I have? According to official website documents should be sent within 5 business days after the date of online application. So, most probably the most logical variant is just reapply online and send the package. Hi Lucy I see that you had the problem that I have now. How did you solve it? Have you been able to reapply for renewal without any problem? I graduated this year from Gediz University, Izmir. I got accepted from METU for master degree. The registration will start 14th of september but my ikamet expires on 03rd. What can I do in this situation? Hello everyone! Help me please with the question. I sent all my docs for renewal. Do they normally send you any approval note or smth? I mean I only checked from PTT that my mail was delivered. Its bee almost 3 weeks. Im curios how long is the process? How fast they release ikamet if everything is ok? Or when can they contact? Who of you guys had any experience when the authorities contacted you? Thank you!! Thank you. And again, in case smth is missing, how fast they normally contact? Hey, thanks for this. I had to apply for my first ikamet through this new system, and it was quite the debacle! I have a couple of questions as my ikamet expires at the end of this year. -How soon can I apply for renewal? -If I travel Turkey out of Turkey with a valid ikamet after having applied for renewal, but my ikamet expires while I’m away, can I come back in on a tourist visa? 1. you can apply for renewal within 60 days before expire date. Many thanks! If I’m out for longer than 15 days, can I come back in on a tourist visa and be okay? hello! As Ive heard from other foreigners they were longer than 15 days out of Turkey and there were no problems. But of course if you are not gonna stay few months out. Hello – does anyone know if a color photocopy of notarized lease/rental agreement is OK or if I must mail the original notarized paper. Dear friends, hello! Tell me please, how do they send the tracking code for ptt and inform me when the ikamet is ready? I had to move, the house will be demolished. Its bee more than 1 month since I applied but no info(( I dont know if the docs are alright, no one ever tried to contact me. I had a short stay – one year residence permit which is ending in October 15th 2015. I got married to turkish citizen in August. Can i just renew my Ikamet online and somehow get a Family permit or am i obliged to make first application and get new appointment for Family permit?. (The problem is there is no free dates until december??) Can i stay in Turkey after the expiration of my Ikamet? hello! As you can find english veriant of application ofrm – before starting you will see some official text notifying if what situation you need to use Extension or First application. You can not just extend it. You need to use First application. And somehow someway catch the avaliable date, even it is so hard. It is illegal to stay in country after ikamet expired and you didnt apply for a new one – so it is totally under your responsibility. I made my application for renewal and have collected all documents. I have also paid the 55 tl fer, but on my application there was no amount for what my price was for the ikamet. I tried to go to the Vergi Dairesi, but they said I can not pay. I am a danish citizen. Do I just need the amount? Or are there certain papers? I brought the number from.my application, my ikamet and pasport, but that did not help. if you didnt have the second amount to pay – it can be because of your citizenship, im not sure about it. But if system gave you notice to pay only 55 tl – you are all fine now – take a copy of that payment slip for yourself, and send original one with your docs. Goc idaresi will understand what is the payment for. how long does it takes the loading usually? i guess it can be some error on website or may be u had slow internet connection, i guess you should try again. so do i need to send the photocopy of the visa too? I have a question about extending a residence permit (family type). I have been granted 2 year permit to stay in Turkey which will be expired on 1 Dec 2015. As I just learned about the new system and read some post above, I am not sure which one (First application or ikamet renewal) I must select. Yesterday I tried entering ikamet renewal but it shows my permit has already been expired. It is not true because mine will last until 1 Dec. I tried many times and the system kept showing the same thing. Is it possible that I cannot access the system right now since my permit is still valid?? Looking forward to your kind reply. Thank you so much. You must apply to Provincial Directorate of Migration Management in your province since the period of your residence permit is expired. Do I misinterprete the sentence? It does not mean my permit is not expired? I would like to ask you two more questions. 1. I am going to extend my residence permit (family category). I learned that you can be granted 2 years permit, but the problem is my passport validity is enough for 1 year permit. Would it be possible if I could get just 1 year permit this time? 2. Last time I renewed my ikamet in Bodrum, but I moved to Istanbul a couple months ago. I have not changed the addess on my ikamet yet because I do not have any idea where to go, but I already changed it at Nufus office. Will there be any problems with my permit extension? Thank you again. Looking forward to your reply. I really appreciate your kind responses. I have 1 more question. Do I have to get a copy of rental contract certified by the notary? I can not gıve a certaın answer because it depends on migration officer. I’m erasmus studentin Istanbul for one semester (10.9.2015 – 31.12.2015). However, I would like to stay in Turkey for another month as a tourist (until 3.2.2016). I wanted to apply for the Ikamet for the whole period, but they wanted to issue it only until the end of the semester (31.12.2015). What should I do to legalize the touristic stay between 31.12.2016 and 3.2.2016? I am wondering about SGK insurance. You mentioned that “choose the date 2 years later from ikamet expire date”. My ikamet will expire on 1 Dec 2015, so I have to enter 1 Dec 2017 even though I will apply for 1 year permit. Am I right about this? My ikamet has expired on 19 of september. So they received everything on 28 th of september due to the holidays. Today I completed the online application for extending my ikamet. The problem is that I’ve not been informed of which office or the bank I can go to pay the fee. Please advise me where I have to go for payment. A question. Before receiving my new ikamet, I have to leave Turkey for 2 weeks. I do not understand your text on this issue. Exactly what must I do not to have problems at my re-entry after the two weeks? You suppose to have Muracaat belgesi page printed out from official website while you were filling in your extension application. This is a A4 page with your name, surname, passport number etc + photo etc. – you should go to migration office to ask them to stamp and sign this paper + you should have your payment slip copy together with this document. So it gives you right to go out of Turkey for up to 15 days and you enter the country with this page + copy of payment slip. As you will get sign and stamp at migraton office – so you can ask them personally again same wuestion to be sure that you are all set. Hello, I also have the same problem, still waiting for my residence extension and want to leave for 9 days for Christmas. However, I already left the country for 4 days because I had to go to a funeral. So do these days 9+4 add together to make 15 or am I not allowed to leave again? The man at the goc idaresi said it will be fine, but I’m not so sure! I need to change address on my ikamet. How can I do that? Do I have to take appointment from the internet or can I visit directly to Emniyet for it. Also, can local Emniyet help me out in changing address. I am from India. 1. You should register at your district nufus dairesi at your new address so they will give you a page with your new registration info. 2. This page + passport copy + ikamet copy + few photo (sometimes they ask ) + original passport and ikamet – you go to your Goc idaresi – no need randevu – at infodesk they will tell you which office you should go to. Emniyet is not doing this. Wow, you are so awesome for sharing this info. Im another one who has my ref no. but no docs on PDF due to error in the system. Do you know if there is a hotline I should call for help? thanks 🙂 In general it is not possible to find online your docs by ref. number, I have no idea why they didnt make that option though. There is a phone number on official website, but Im not sure if they can help in your situation or not. Hello! I tried to make an extension of my ikamet, but in the section “Information on Address in Turkey and Contact” at Adres Sec i can not insert any values. Fields are disabled. What’s the reason? Thanks for answer! Hello! I’m sorry, but today it is working correctly . Maybe an IT Problem yesterday. Thank you! What if I take my reference number but I let the five days pass? Can I take another reference number on internet? My residence permit is finishing in 3 weeks and I am in a hurry! I’ve been waiting for nearly 3 months and haven’t received any messages saying either that there was a problem with my paperwork OR that my ikamet is going to be delivered. I thought I would call to try to find out more before going to the office but the number I found (0 212 453 61 32) doesn’t seem to work. I haven’t found any other phone numbers. Does anyone else have another number? I realise from reading other comments that calling probably won’t do a lot of good anyway but I thought I should at least try—I kind of assume that if the office wants to do everything via internet and mail that they don’t love the idea of visitors randomly coming in. I want to get this solved as soon as possible because in another week or so I’ll be leaving the country for 3 weeks. Thanks a lot in advance and thanks a lot for this website. Very valuable information always. I dont think either that they will give you this info by phone – I heart lots of times when people called them but by phone usually they just give basic info about application process, not searching for ikamet. There is another number Alo 157 – if you want you can try, as I know they speak english as well, but I dont have much hope that they can provide you with answers. Hi, a new question has come up for me after my visit to the office this week. Before I get to the question, I’ll report back some information that could be helpful for others: When I went to the office to find out my status after 3 months of waiting my application was there (i.e., it hadn’t been lost) but the officer who looked at it to determine whether all the appropriate supporting documents were there was looking at it for the first time. When I asked why my application hadn’t been processed before now even though 3 months had passed and they promised these things would be done ‘within 3 months’ (I also heard her say this to another applicant while I was there) she simply said that they were busy, and pointed to the long queue of people waiting outside. It’s true it was really busy but I would encourage anyone who is feeling unsure about the status of their application to stop in, since had I not gone there my application packet would still have been waiting in a filing cabinet for someone to eventually get to it. Now the question: As I mentioned in my previous comment I have a trip booked this month that is longer than 15 days (i.e., longer than the temporary ikamet allows me to stay out of the country). The officer on Vatan Cd. said my 2 options were to wait until my new ikamet arrives and then go, or to shorten my trip. It’s not really an option for me, both because of the expense of changing my ticket last minute (I’m going far away, not within Europe) and because I have important events scheduled at both the beginning and end of my trip. If I stay outside of the country for the full 20 days of my trip what will happen to me? Will it affect my ikamet application or something like that? Or is the worst case scenario that I’ll have to pay for a tourist visa on my way back into the country since I was gone longer than 15 days? Firstly thank you so much for sharing your experience at Vatan office! It may be important for other readers with similar problems. I applied for my ikamet and sent all documents 2 weeks ago, but I just found that my husband gave wrong info on my phone number. Anyway, he has provided his own phone number and email address in the supporter section. Would that make any problem to my application? I am not sure I will be contacted via phone or email. Please advise if I will have to visit the visa office to correct the info. Thank you so much and waiting for your reply. I applied for aile ikamet and posted all documents 2 weeks ago. The problem is that I just found my spouse made an error of my phone number (wrong one) on the application form. However, he has provided his own number and email address in the supporter section. I am not sure I will be contacted via phone or email. Would this make any problem to my ikamet application? Please advise what I will have to do or if I must visit the visa office to fix it. aa i understood you wrong, they will use your main number to send the tracking code for your ikamet when it will be sent by PTT, so I guess its better to go and fix it if still possible. I was thinking in that info just your husband put his number, sorry I read wrong, so you better fix that to be able to get the tracking code later. Hovewer PTT will send it anyway even if you will not get the code. I am about to renew my ikamet (Turist short term). Until now instead of taking out a Turkish insurance, they accepted a receipt by my German health insurance confirming that I am medically insured and thanks to a collaboration of GSK and the German insurance, the GSK confirmed to take care for my insurance during my stay in Turkey. This is a bileteral social security agreement (The so called Türk-Alman Sosyal Güvenlik Sözlesmesi T/A 11). Do they still accept this receipt or do I need to take out a Turkish insurance? My second question: I heared that I need to open a new bank account which shows a certain amount of money. Is it not possible anymore to show a receipt from a exchange office? as far as I know this agreement between GSK and Germany (same as with other countries) still valid and working. Just I guess you will need to renew the document from GSK which states that bilateral agreement. As for bank account – yes before they were accepting just currency exchange slips but now they ask to have a bank statement from turkish bank, or if you have a stable income from your country (for example, retirement payment) you can provide with info about it. It is not hard to open a bank account as you already have ikamet, so it will not be a big problem for you. thanks for the reply! I have a stable income (wage from my homecountry) but how do I need to prove it? Showing a receipt from my German bank is surely not enough as it is in German and how would they know if I really get the money regularly also in the future… What kind of document do they want to see? -I got private insurance earlier this year for my first ikamet application, and now I have to apply for renewal of my ikamet. My current private insurance plan expires halfway through 2016. Does the insurance need to cover me for all of 2016, or is halfway through okay? Thank you. It seems I will have to apply for an extension. For the bank account requirement, what’s the amount per month in US dollars that is necessary to meet the requirement? For the bank account, does the money need to be in the account in US dollars or does it need to be in the account in Turkish liras? And what kind of a statement do I ask for from my bank account? I have ikamet with type (kısa dönem ) and I need to renew it. I am not married to Turkish girl. Sorry again for my many questions but i just realized another thing: i don’t have any official work here in turkey and I cannot prove my income, so at the INCOME STATUS I choose: no income and at the SOURCE OF INCOME I wrote: bank account ( I thought they want to know how can I cover my staying fees). So what do you think is it wrong. Sorry again for my many question as I read all the comments and no one mentioned this one. My LAST question: if I go to an office near VATAN and try to do my application again, does it affect my situation? for most of your questions there are answers on this website as well but not in comments – in articles. So here’s an interesting scenario for you. My wife’s current ikamet expires in early January. Her passport expires in April. With current passport due to expire in April, we know she can only get her ikamet renewed for about a month; since they don’t approve ikamets with an ending date that falls within 60 days of the passport exp. date. We certainly want to get her a one-year ikamet, so what’s the best way to deal with this? Hi, thanks so much for your quick reply. Yes, my wife is here in IST & can easily get new US passport. If she gets new passport, can she still renew her current ikamet, and just change the passport # on her online application? Or does she need to do a new ikamet process, which is more difficult. Also, our bank acct here is just in my name, and she doesn’t even have a tax # here. Do we really need to open a separate acct for her to show income of $6,000? How should we proceed? Thanks again for your help. As I know ıts just enough to make extensıonö no need new randevu, but to be sure you may call ALO 157 – this is new official service for foreigners, they answer questions about application forms as well. As for bank account, you can just show your account statement, as she is your wife it is fine, no need to open a separate account for her. And she has tax no. – its automatically happening after she got ikamet at first time, just usually noone use this no. since there is yabanci kimlik no. Hi. My 90 days visa expires in 5 days. I can’t get an appointment due to the system shows full everyday for about one month now.I called 157 they all give different information. Should I leave the country and come back in few days? Can I do that? According to the law no. But they say if I take a consular visa maybe I can come back soon. I don’t know that to do. And why I have to spend money on traveling if their system it’s full? 🙁 I have no time anymore. I went to Fatih office they said it’s impossible to help everything should be online. But how? Sorry to hear that . . . I may advice you to try some offices near vatan migration building, they do help for randevu dates as I know, but Im not sure if they are able to get randevu every time or not, as a chance you may try. They are private offices, not related with migration office. Also there are some copmanies who do paperwork for foreigners as well . If you are still trying to get randevu by yourself, you may try late night or early morning, may be there can be some avaliable times and dates. I have already sent my Documents for renewing short term residence since one month by Ptt. How can I know that there is no problem and my documents are ok and under progress???? nobody sent me any email or message about that . if anyone knows about this please reply. Thanks for reply,but they did not send an SmS for PTT also,Is there a problem????? Good evening. My ikamet will be finished about 1 month later. Today i tryed to make application for its extention. But it is written error!! Where can be a problem? Thx for answer!! Hello i have a question my short term Ikamet expired the 29 of February and i am not planing to reniew it… Can i come back with a tourist visa after this date for three month? Thanks a lot . HELLO , i have this little problem , i am an Aiesec intern , i filled for an ikamet and all was good , i just wasn’t able to receive it on my house i was traveling , when i checked the mail trafficking it said that it was sent back to Ankara , what can i do to take it, should i go to Ankara ? I have asked for the renewal of my ikamet but it still did not come. I need to spend some days out of Turkey but I do not have any slips of payment of my ikament renewal. I just got one and I sent it with my documentation. I also have to stamp my application form. I live in Tophane, do you know to which office should I go ? In old ikamet book they showed the address. Now we have a new one, just one plastic list which doesnt show the address of my legal residence. When I need to provide this information, what shall I show? – I want to renew my ikamet (kiza dönem) because i am caring the childs of my brother and helping his family (his wife is a turkish citizen). So i renew a kisa aile dönet, right ? – I have all documents, do i need again bank statement about 500 $ per month, 6k /year? – We moved for more than 3 Month, i didnt changed my adress until now (because of illnes), should i change it before i renew the ikamet or just give in the form my new adress details ? There are penalties on that ? Thanks very much for ur answer! As I understood you already have kisa donem ikamet – which is short term one. So you will apply for extension as kisa donem ikamet – turistik amacli. And yes, you will need to show again bank statement for 1 year as 6k $, all docs are same as before accually. As for address – you will need to get a taahutname from your brother -this document shows that he officially provides you place for living for all ikamet term, at that doc you will put your new address, and then register yourself at nufus dairesi by new address, they will give you a paper which you will enclose with all other docs for your application. Im not sure about penalties, I dont think it will be an issue, but decision about it is by migration officer – not me 🙂 And in online application form you will put your new address. I applied for the ikamet extension and wanted to do the payment today. The woman in the Ziraat Bankasi told me, she can’t make the payments for ikamet anymore because the dollar-lira exchange rates vary (Ziraat Bankasi has other exchange rates than the göc idaresi). When I went to a vergi dairesi, they told me I need to go to the vergi dairesi in Fatih (Yeditepe or Eminönü vergi dairesi). I am not sure now weather I just had bad luck and others do the payment, or do I really need to go to Fatih? Did anybody went through problems like that? Maybe it just was beacause I wanted to pay in lira instead of dollar..? I applied for my family residence extension on october 5th, My residence permit expired in 30th of october, But i have sent all my documents since 10th of october, However the lady at the PTT office didn’t give me a barcode number, even though i asked her for it. Now it seems my package has been lost and PTT has no record of it, they told me it was kayitsiz, I don’t know the posting system and i didn’t ask her to send it that way, all i did was gave her an address and asked her to post the package. As they have instructed on the website. Now the office in fatih, Are telling me they didn’t recieve any package and its already 90 days. What the next thing i am supposed to do, I went to the office but nobody pays attention to such problem. hello, the blue book is still valid if it says oct 30 2016, but if you want to make a plastic one you should go personally to migration office for that, as system is designed for renewals of expiring ikamets and as yours is not expiring yet it shows that msg . I’ve had an ikamet for 4 years but have renewed my passport since my I got my last ikamet. I have heard that I therefore have to apply for a new ikamet as if it is my first application. Is this true? As long as I know from other foreigners experience, if you didnt change any info in passport and just made new one cuz of expired old one – you can apply as extension but print in new passport number and expiration dates. But, there is a human factor at every goc idaresi as well, so I would advice also contact with them by phone or visit and to confirm this info. Hello Stayturkish Team, first thanks for your work here, very good ! i renewed for my ikhamet at 27th december and until now i heard nothing, but PTT barcode i can see its delivered at Fatih in the Yabanci Göz Office. My Ikhamet is expiring at 9th of February, what is standard time period for renewals of tourism visa ? If i dont hearing from then 5th February i need to go there, i guess. sometimes delivery personel just say they could not find you at home etc so they send the package back to migration office. 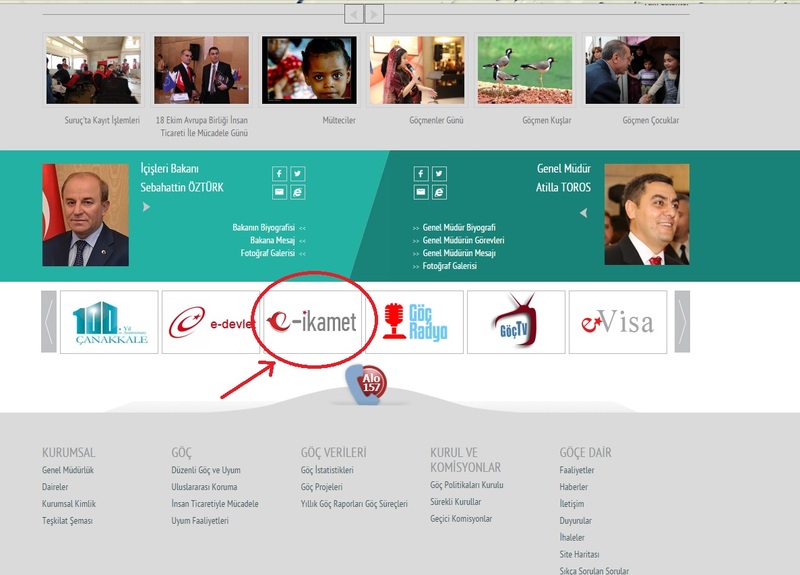 If it says by tracking code that ikamet is at fatih, you just need to go there with your passport and ask your package. I would advice to go there asap, as they will not deliver it to your home and sometimes they may send it back to ankara if noone claims it. Hi Thanks, but i think you misunderstand me. I have no PTT Barcode now, i just give my documents at PTT and send it to the Office for renewal and heard nothing from than. May what is ur experience what the procedere takes time ? now i am waiting 1 Month and heard nothing. I would advice you to ask at migration office about your process – because sometimes it happens that they need some extra documents and folder is still in office, they dont send to ankara. So you may just ask if they got the package from you and if everithing is ok with docs. I’ve just returned to Istanbul to find, much to my dismay, that my application packet was sent back to my apartment on 2 Jan. 2016 with an X through the address for the migration office. I’d sent my application on 18 Dec. 2015. On the back of the envelope, an official wrote “Adı postanın barkod numarası olmadıgından tarafımızca teslim alınamamıştır,” which roughly means that because of a lack of postal code or a barcode, my mail couldn’t be delivered. I came back in on a tourist visa, and I’m past the renewal window because my ikamet expired 31 Dec. 2015. What do I do? What are my options? A big concern is that I’ll have to pay the fees all over again. I have the receipts. Do you know if I have to pay again, or will my payment for the renewal suffice? Hello, i think you misunderstood me. I havent received a PTT Barcode, i sent my documents and now 1 month i didnt heard anything. May you know how long i have to wait until they will send me a notice ? I want to extend my 1 year tourist residence permit, I have to show 6000 Dollar therefore. I do have a turkish bank account but I don’t have 6000 Dollar on it. Do you think showing like 3500 Dollar from my turkish account and 2500 from my german account ( with translation) would do it. Because transferring money back and forth between German and Turkey would make me loose money. As long as I know they want statement from turkish banks – doesnt matter in dollars or liras. You may try that variant, but I can not say if they will accept it or not. You may try to call Alo157 or visit migration office to find out for sure. I need to renew my family residence permit but the system doesn’t recognize my Id or Serial No … only 3 weeks keft, what to do? I have a short term ikamet which will expire in the end of March. I want to make a renewal, but I first need to take a new passport (my passport is expiring beginning of July, and in order to take a new ikamet, your passport have to be valid longer). I will receive my new passport probably in the last week of February, but I am not sure which validity dates will be used on my passport. In order to fill in the form for ikamet renewal, you need to enter these dates. Do I have to wait untill I receive my passport and then make the online application? Or are those dates not that important..? Also, I am living in Istanbul, can I only make an appointment in Istanbul, or also for exmaple in Izmir? (Im afraid it might be hard to get an appointment in time in Istanbul). Hi , i received my Ikamet , but there is a little problem , they mistaken my first name and my family name , i also changed my address (from izmit to tuzla istanbul) , what should i do now please , will i face problem the day when i will want to go back home to my country?? this is a problem , cause , i may have to go back by the end of this month , will i face problems at the airport? good news thaty ou got ikamet! As for days out of Turkey, by laws it is up to 120 days our of TUrkey is allowed. i am waiting nearly 2 month for my ikamet (renew), now they called me and told me that i have almost more than 120 days left the country, but i count it and didnt. You have any issues regarding this ? They told me they will check it again and call me asap. You know the rule for this 120 days ? My Ikamet is from Februar 2015 – Februar 2016, in this year i took 110 days in my origin country, but in January i stayed 4 weeks, but this was before i apply for my ikamet, they will count January for all 120 days ? I didnt find any details on “120 days a year”! I bet they count that 120 days within ikamet term – not calendar year, thats why they contacted with you about it. Hi. I didn’t make any Turkish bank account by now but try to make it from last week for renewing my ikamet. However i couldn’t make it by now. Garanti bank saids it is not allowed if foreigner doesn’t have working visa. Is bank said they can’t make it because expire date of my ikamet is April and it doesnt match expire date of the document which i received from vergi dairesi when i got tax number for the first ikamet. Can i make statement at the exchange office and send it instead of bank statement? As well do you need to get your rental agreement notarized even if you are officially registrated on this adress? I made a change in adress as I moved to Istanbul from izmir. I am married with a turkish citizen and we have 2 children, we live here since 2 years. My Ikamet is valid totaly for 3 years, so it will expiry in 1 year, does anyone know what i will receive after that ? They will issue again 2 years ? And one other question for family resident the rule of 120 days to be outside turkey is not valid, right ? yes while ikamet extension you will get the new one for 1 year if your insurance is private, and for 2 years – if SGK . As for 120 days rule, it is appliable to you as well. Thanks for sharing and replying! It has been really helpful! My current ikamet expires in June, but I plan to stay until August. Is it possinle to renew the ikamet for only 2months? Or shall I leave the country before my ikamet expires and enter again with tourist visa? Ive been living in Turkey on a family residence permit which will be valid until 1 Dec this year. Anyway, I need to renew my passport before the valid date of my permit. I have learned that I am required to notify the migration office before I will extend my ikamet. Could you please advise me on how to notify them? Do I have to meet them in person or just inform them via the phone? And should I inform them before or after I obtain my new passport? I called the 157 and they said to make it like a first application, but I absolutely don’t want to do a first application because the appointment will be in june and and I will be forced to stay in Turkey until june (or go out only for 2 weeks). I have an old blue book with Work Permit valid until 03.06.2016. My old passport expiry date. Passport has been renewed. Work Permit is valid until 28.08.2016, however Blue Book not. We will apply for the new work permit once possible in 28.06.2016. Ministry of Labour states as i have an Ikamet Blue Book, their system states it has been given until 28.08.2016, they will only consider giving a card after new extension for the work permit is processed and approved. Emniyet states to visit at nearest police station (Beyoglu) for the temporary paper until 28.08., who in term advice to visit Goc Idaresi, who in term states i may try to do the extension, but with new passport i should do the new application. And then we were told by a lawyer, no need for renewal just to carry the original WP Papers at all time. Tricky, but if any advice to be given, i would appreciate.